Timber fencing is a practical and traditional solution to fencing requirements. 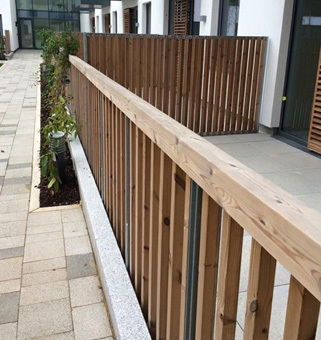 We pride ourselves on the best service and most professional finish when delivering a timber fencing project. Our commitment to sustainability means we use only FSC approved timber for our installations. Acoustic fencing is installed for a variety of applications where limiting noise pollution for the surrounding area is part of the environmental approval for the project. Previous installations have included military air bases, train service yards, supermarkets, data centers and power stations. 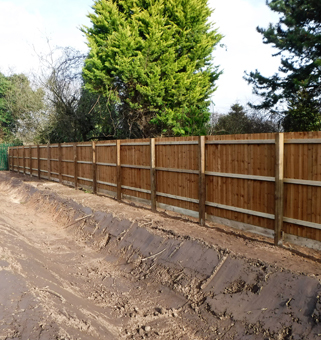 We use fully compliant acoustic fencing solutions which offer the highest possible levels of noise reduction. 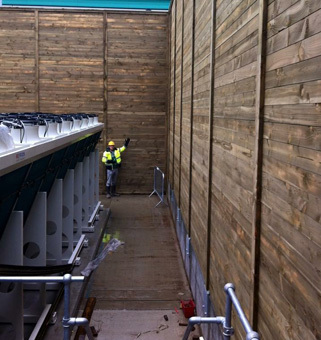 Height can be an important factor in an acoustic fence’s ability to absorb noise pollution and we have previously installed timber acoustic fencing up to 7m high. Each site will have different requirements, and we can advise you on the best solution for your needs.